Early voting continues until Friday for the Texas primary runoff elections. Election Day is next Tuesday, May 27th so next week’s memo will include the election results. Texas Tech University System officials named Sen. Robert Duncan (R-Lubbock) as the sole finalist to become the new chancellor. Duncan was elected to the Texas Senate in 1996 after serving two terms in the Texas House. Once Duncan is named chancellor, the governor’s office will call a special election to fill the senate seat for the rest of his term, which ends in 2017. During the upcoming Memorial Day weekend, Texans get a break from state and local sales tax if they purchase certain energy efficient products. The 2014 ENERGY STAR sales tax holiday begins Saturday, May 24th and ends on Monday, May 26th. The products qualifying for the exemption include air conditioners priced at $6,000 or less; refrigerators priced at $2,000 or less; ceiling fans; incandescent and fluorescent light bulbs; clothes washers; dishwashers; dehumidifiers; and certain programmable thermostats. 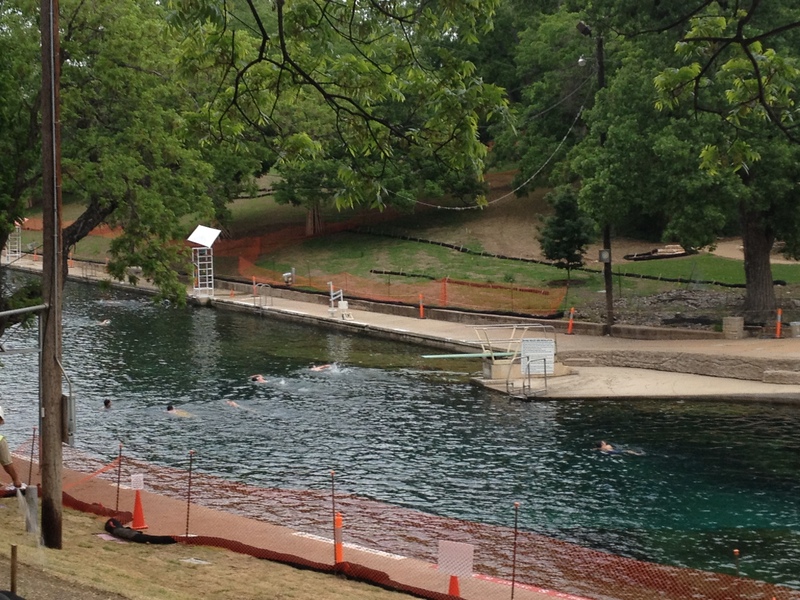 Only in Austin: When the temperature rises, the best way to beat the heat in Austin is a visit to Barton Springs Pool. Located in Zilker Park near downtown Austin, the pool measures three acres in size, and is fed from underground springs with an average temperature of 70 degrees. Barton Springs Pool was originally in the hands of private owners but was deeded to the City of Austin in 1918. Since the Springs serve as home to the endangered Barton Springs Salamander, they are listed as a federally protected habitat. Don’t plan a visit for Thursdays since that is the regularly scheduled cleaning time!